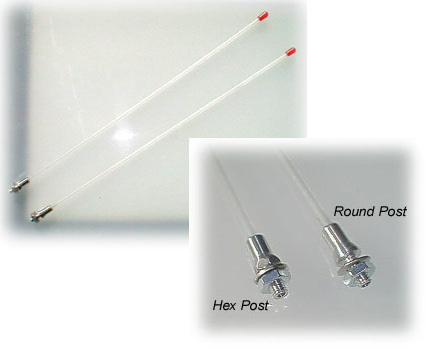 Antenna bases are machined in Round or Hex. 12" Antenna tube with Cap. Receiver Antenna slips up through the Antenna tube and is sealed off by the Cap. Antennas are typically mounted on radio box lids, but can be mounted elsewhere. A light coat of silicone when mounting will ensure a good base seal.